What? 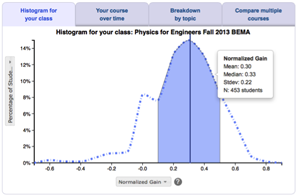 Activity-based curriculum for high school physics. Helps students to explore basic concepts, hone and link concepts, develop analysis and reasoning skills, learn to apply concepts in problem-solving situations and avoid rote procedures, and organize knowledge so that it is generally useful.